Prince Edward County is located in Southern Ontario about 2.5 hours east of Toronto, south of Belleville, and just west of Kingston. The county's relatively mild climate due to the influence of Lake Ontario has led to the establishment of dozens of vineyards and wineries, and as a result it is one of Ontario's newest designated viticultural areas. The County is an island community encompassing approximately 1,000 square kilometers (400 square miles), with over 800 kilometers (500 miles) of shoreline with beaches and limestone rich soil. 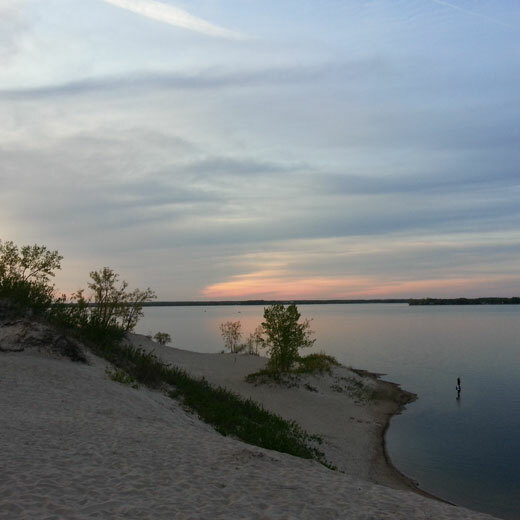 Its main attraction is Sandbanks Provincial Park with it's three gorgeous beaches, attracting thousands of visitors on hot summer days, and it has also become a top culinary destination. Our home is located on Sheba's Island which overlooks Sandbanks and is connected to the mainland via a causeway (road), so you get the best of both worlds: an island living experience but you can drive there!